The big question as OPEC meets on Dec. 4 is whether Saudi Arabia is ready to do a deal on oil production. If it does, the result could be a cut to output and a rise in prices. Trimming output just a little would leave room to win back lost market share. Even more tempting must be the chance to teach hedge fund speculators a lesson. Prior to OPEC oil ministers gathering in Vienna, money managers and hedge funds have increased to near-record levels their bets on oil prices falling further, according to a Reuters report on Dec. 1. These bets were placed on the belief that Saudi Arabia would continue pumping at full pelt. There is a good chance that assumption is wrong. OPEC is thought to be producing about 1.7 million barrels per day above its official output ceiling of 30 million barrels per day. This oversupply is the main reason why global stockpiles of crude have continued to build despite prices halving since last June. Trimming production by a modest 1 million barrels per day would be easy for Saudi and its Gulf allies, because the drop in volume would be offset by higher prices. It would also restore solidarity within the 12-country bloc, where budgets are being strained to near-breaking point. According to a Reuters survey of OPEC nations, Saudi Arabia, the UAE, Kuwait and Qatar pumped 16.6 million barrels a day of oil in November. A 5 percent reduction in their output would mean Iraq and poorer OPEC nations would have to find just 170,000 barrels per day of cuts between them in order to steady the market. Iraq is producing more than 4.1 million barrels a day. The gesture would be enough to prevent prices falling to the $20 per barrel that Goldman Sachs has said is possible, but probably not enough to help out higher-cost producers in Mexico and Russia, which Saudi Arabia also wants to see reducing output. If Saudi Arabia wants to achieve a more significant rebound in prices then it will most likely have to bring its own output down further. That would make room for Iran to increase its production once economic sanctions are lifted next year. That is a decision for another day. In the meantime, delivering a thwack to oil bears is an easy win. 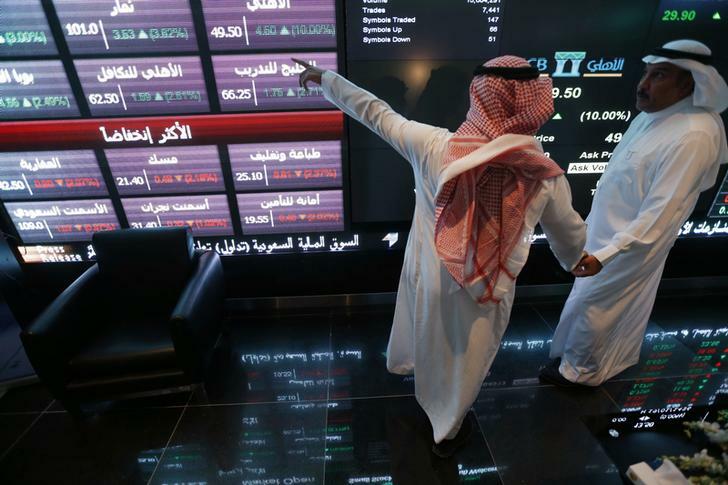 DATE IMPORTED:November 12, 2014Investors talk as they monitor screens displaying stock information at the Saudi Stock Exchange (Tadawul) in Riyadh November 12, 2014. OPEC members have gathered in Vienna ahead of a meeting on Dec. 4 when the cartel will decide on whether to continue its policy of maintaining production levels in order to win back market share from higher-cost producers such as Russia and the United States. Saudi Arabia – the largest exporter of oil in OPEC – may propose a deal that would balance the market by cutting 1 million barrels per day from production next year, Reuters reported on Dec. 3 citing a report by Energy Intelligence. Brent crude has more than halved in value since June 2014 on soaring production. One-month futures were trading at $43.08 a barrel at 0900 GMT on Dec. 3.